By purchasing SET complete cultivation, you can claim a discount of € 12 compared to the purchase of various products individually. In this special SET you can find all of the best products on the market designed to ensure the best results in the own cultivation and plants! 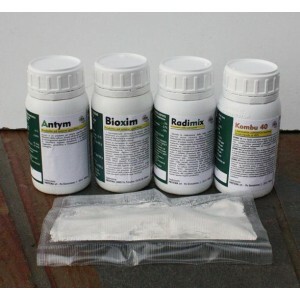 SET includes: trix, bioxim, radimix, antym and kombu40. The antagonistic fungus help in obtaining the best plant health also increasing their induced resistance against pathogens harmful! The rooting allows to get your point across on collected trees as well as find a very good use on potted plants. The thricoderma powder instead allows the symbiotic fungus to settle all the substrates before repotting to avoid the "empty physiological and bacterial" that often takes place in the trees collected. 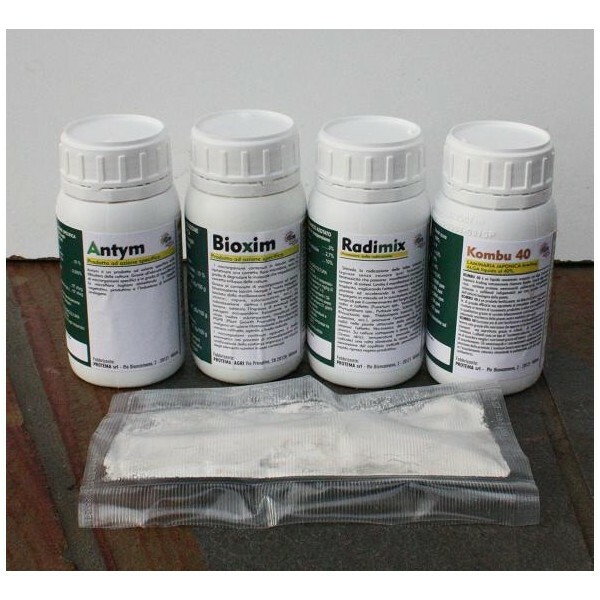 To finish the bio-stimulant of latest generation allows to obtain a vigor not comparable to any other product!